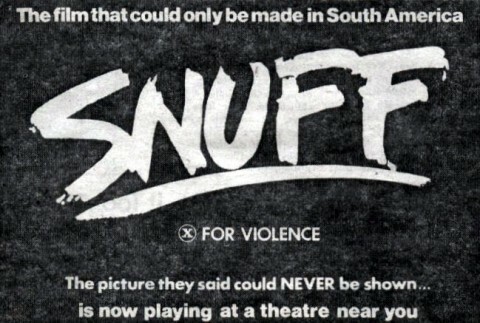 I just found this awesome post on the Temple of Schlock blog featuring a series of reviews about the 1976 splatter film Snuff, that was marketed as if it was an actual snuff film. I’ve never seen it, but after this movie poster, how can I resist? I wonder how the South Americans feel about this ’70s exploitation ad campaign! This entry was posted in film, movies and tagged film, movies, posters, Snuff, splatter. Bookmark the permalink. 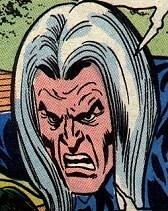 Some thoughts on Snuff here: http://screened.blogspot.com/2006/07/snuff.html.